Dear Friends: We learned today that the Norwegian government deported 2 Iranian political asylum-seekers yesterday, and there is a high probability that they will deport two more tomorrow. There appears to be an uptick in the rate of deportations of Iranians from Norway, and this demands that the Norwegian government be confronted about its asylum practices. It has only been a few months since Norway deported the Kurdish teenager Rahim Rostami to detention and torture in Iran. Participate in this letter-writing action that demands that Norway halts all deportations of Iranian political asylum-seekers. It has come to our attention that the Norwegian government has deported a number of Iranian political asylum-seekers in the past few days, and there is intent to deport more Iranians to the hands of the Islamic Republic in coming days. Among those to be deported includes a convert to Christianity. The Norwegian government is deporting political asylum seekers to Iran at a time when executions are happening on a near-daily basis, sometimes several a day. The Norwegian government intends to return Iranians who have converted to Christianity to a country that intends to execute Christian convert Yousef Nadarkhani solely due to his religious conversion, and despite the fact that there is no law against apostasy in the Islamic Republic’s penal code! The Norwegian government is well-aware of the fact that the Islamic Republic considers all Iranian political asylum-seekers to be criminals, deeming their quest for asylum as a form of propagation against the regime. The Islamic Republic has on several occasions declared and applied its intent to prosecute returned political asylum-seekers, on the basis of Article 7 of the Islamic Republic’s Penal Code. Rahim Rostami, a teenaged Kurdish asylum-seeker returned to Iran by Norway and immediately imprisoned under torture is one such example – and a clear indictment of the Norwegian government’s failed approach to refugee status determination. It is illegal under international law for any country including Norway to deport a person who has a legitimate fear of persecution in their home country. It is therefore undeniably illegal under international law for the Norwegian government to participate in the crime of deporting political asylum-seekers to Iran, where they are at high risk of being detained, tortured, and in some cases executed if returned to Iran. Norway must uphold international principles, reconsider its position and set appropriate precedent by halting any deportations of political asylum-seekers to the Islamic Republic of Iran, and implementing appropriate protections. The ongoing crisis in Iran demands that Iranian asylum seekers. In essence those governments are sentencing those Iranians to death, because once they return, it will be obvious that they asked for political assylum against the IRI, and they are the enemies of the IRI, and shall be dealt as such. 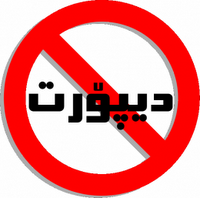 Help Free Iran so Iranians can live in their motherland. FREE IRAN = FREE WORLD. I am amazed how also Norway behave now. My country sweden is ruled by a neocon uppreclass with no fantasy at all, and therefore they lack empathy. But I was of the opinion Norway was electing better humans. Obviously not. They need names from humans all over the world. As christian convertites, they face capital punishment if swedish government send them in the next week.